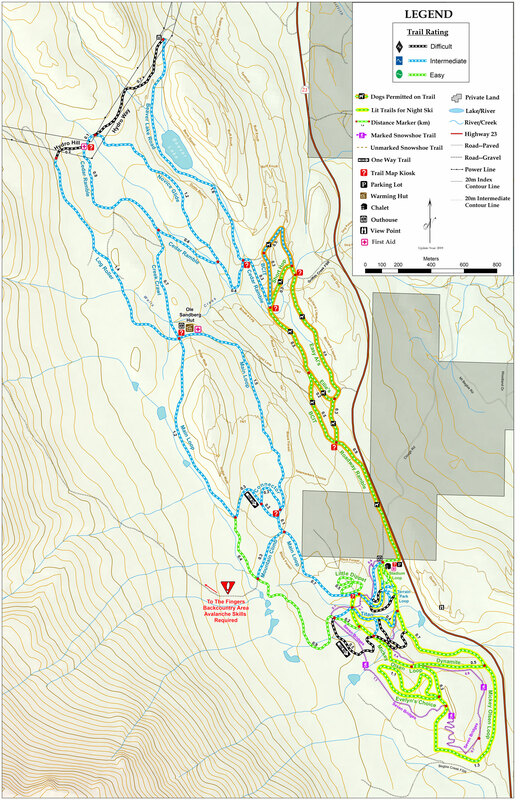 Trail Map (1.5mb) – New!!! Clearing has begun on a gentle climb trail commencing off Mickey’s and meandering to Mountain Climb, then to continuing to Main Loop. Drilling and blasting operations at the Macpherson Nordic Lodge are complete. Intermittent work will continue over the coming months, however there will be no more trail and parking lot closures. We appreciate your cooperation as we work towards upgrading our facilities. Drilling and blasting operations will be taking place at the Macpherson Nordic Lodge commencing this week and continuing through the coming week(s). We will notify upon completion. 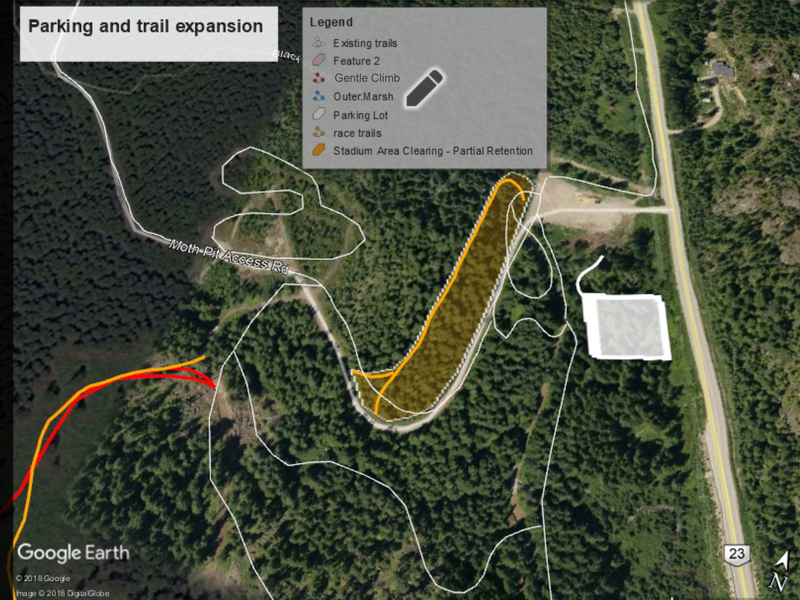 Please respect all existing closures to the Nordic ski trails, Black Forest and Stimulus trails adjacent to and including the Macpherson parking lot area. These sections will be closed from midnight until 5pm during weekdays; opening again for holidays and weekends. These operations mark the final stage of the first two phases in our Parking Lot, Stadium and Trail expansion project. Once complete, the aforementioned areas will re-open for regular use. This plan is based on confirmed funding (cash and in kind) provided by the Columbia Basin Trust Recreation Infrastructure Grant, BC Timber Sales, BC Wildfire, BC Rec Sites and Trails, and the RNSC. The parking lot expansion is planned for Spring 2018, and the Orange and Red trails are planned for the 2018/19 season. The Blue trail is planned for future years. 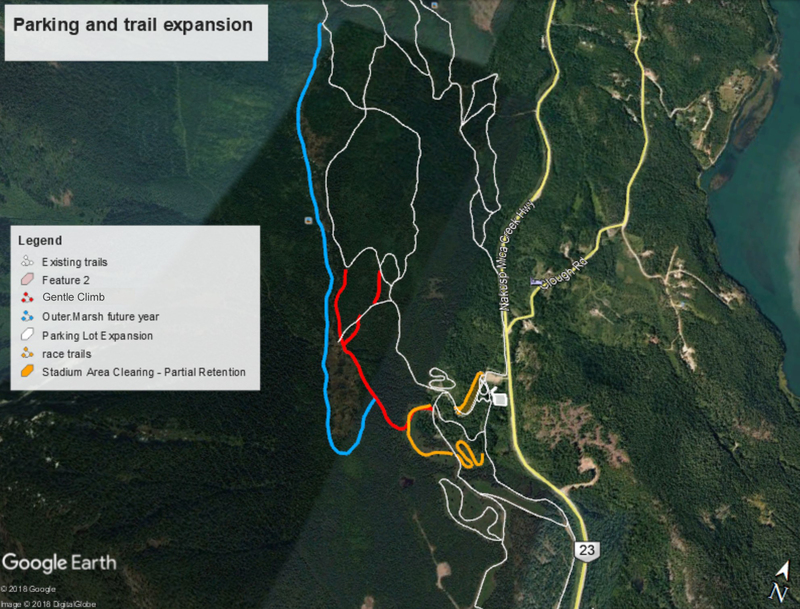 The Red and Blue trails are designed to reduce congestion on Main Loop and to facilitate gentle climbs to access higher elevation terrain, potentially helping to extend the ski season in the context of climate change. The Orange trails will provide more trail options close to the lodge for members and loop lengths suitable for races and training. The shaded orange area will be a partial cut, to help expand our stadium area. Scroll down past the images to read more about the process, the timeline, and the rationale for this expansion. The RNSC recognized the need to plan some ‘shelf ready’ projects in the event of funding opportunities and started exploring possibilities. The board held a special meeting at the end of January to review input from the Strategic Plan process and trail planning and parking development options in time to meet grant submission deadlines. At the same time partners were consulted. (Rec Sites and Trails BC, the Revelstoke Cycling Association, and BC Timber Sales). Letters of support were received. The board hosted an information session for members and the general public regarding the Strategic Plan and Trail Development Plan.